Tallest building: One Canada Square (235m, 50 floors) during visit. Surpassed by The Shard in 2013 (310m). 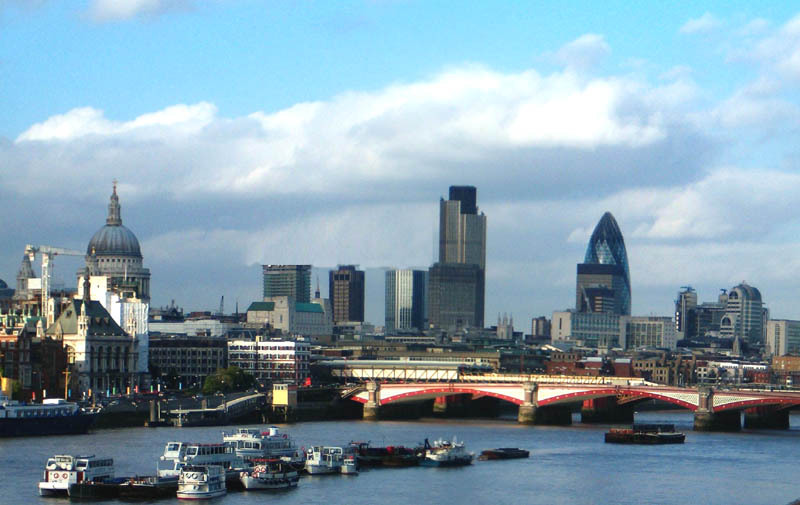 London, United Kingdom´s capital and the largest city in the European Union, is also a world known historic metropolis. We visited London in April 1999 for 5 days and for a week in May 2005. Since the last visit, the London page has been heavily updated and been divided into 17 different sections with hundreds of pictures instead of just 3 sections with just about 30 pictures. 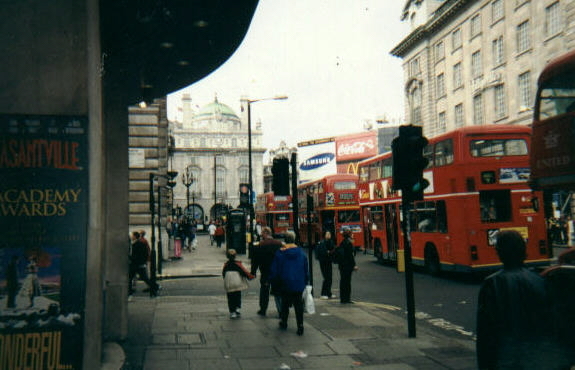 The first time I visited London (in 1999), at first I felt nothing special about London when we got off the "underground" at Piccadilly Circus, arriving directly from Heathrow Airport. But after some days of walking and travelling with dubbeldecker bus, I discovered that London is a vibrant, beautiful and exciting city with many faces. It is a mixture between history and a modern cosmopolitan metropolis - not by far as oldfashioned as I had imagined. The weather was also better, it was only raining for some hours in two days, and when we arrived it was very sunny. We stayed at the City of London Hostel near St Paul's Cathedral. Most of the architecture feels old and often beautiful (though the white buildings fastly get dirty), but there are also modern buildings (mostly from the 70s) and new skyscrapers have fastly arisen in the financial district and in Dockalnds for the first time in decades. Even if London is a vibrant cosmopolitan city with much young culture, it is sometimes also a very conservative monumental city. 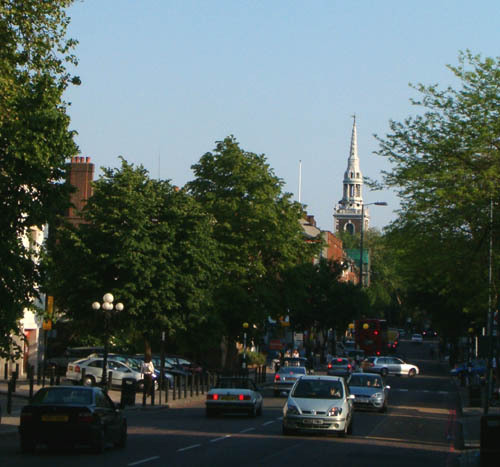 Just like New York, London is divided in several districts called boroughs. There is also over an hour of film from the first journey, including pics from the airplane, unfortunately not available. In 2005, we came back. We stayed at the cheap Piccadilly Backpackers Hostel at Piccadilly Circus for one week in May 2005(Tuesday-Tuesday). We travelled by the low fare airline Ryan Air from Malmö-Sturup Airport to London-Stansted Airport. We experienced many new areas and sights where I didn't go in 1999, like Canary Wharf, Madame Tussauds, Notting Hill, Paddington, British Museum, Primrose Hill, Hyde Park(yes), Hamstead Heth and Greenwich, and there was also better opporturnities to take good photographs, since I have a much better camera now (a digicam instead of a "onetime camera"). London has also got new attractions like The Eye and many new skyscrapers. Most of the food we bought was cheap (in supermarkets), but I think that London has become a lot more expensive than before. When staying at the hostel, we learned to know some of our roommates and made sightseeing together. The weather was very changing. It used to begin with rain and clouds in the morning. Most days, in the afternoon it had became sunny and warm. On the Friday it was like a warm summer day the whole day. The leaves of the trees were also there, bringing a warmer atmosphere in May 2005 than in April 1999. I don't know why, but I liked London even more this time. London is connected underground by one of the world's oldest subways - The "Underground". It is as usual of course the fastest and easiest way to get through London, but it is starting to look real worn and oldfashioned, even though they have started to modernise some stations at Docklands with glass doors that separates the platform from the rails (just like in Copenhagen). But we tried to avoid it and take the double decked bus instead, as this is much nicer.